Is my ACT score good? Average score at Top Universities - What is a good ACT score? What is a good ACT score? Beating the ACT. To ensure that you are the lucky recipient of the former, you need to understand the test, and what your scores mean for your chances of admission. The ACT is broken down into four sections: English, Math, Reading, and Science. After you take the test, you’ll have to wait between two and eight weeks to get your score report. The most important numbers on the report you’ll receive are your raw, scaled, and composite scores. Under the Detailed Results section of your score report, you will find what is known as your "raw scores," which measure how many questions you got right on each section. Of the three scores, these are the least important to admissions counselors. Instead, the colleges examine scaled and composite scores, which take the difficulty of the test into account. Since millions of students take the ACT every year, the test makers can’t use the same test for everyone. Different tests mean the developers have to worry that one test is harder than another-they get around this by scaling the test scores. Even if two students get the same raw score or number of correct answers on the section, they may end up with different scaled scores if one person had a harder version of that ACT section. The possible scaled score is between 1 and 36 for each section. Finally, the most important score is the composite score, which is an average of each section’s scaled score, rounded up to the nearest whole number. There’s also an optional essay component, which was added in 2005 to make the ACT more like the SAT.4 The highest score possible on this section is 12, but the average score is a 6.9.5 Your score on the writing section will give colleges a better indication of your unfiltered writing ability. Even though admissions officers have your application essays, they know that your essays were probably read and revised by everyone from your best friend to your grandma; the optional essay score tells them how you are at writing without any help. However, not every college requires the writing portion. Before you decide to subject yourself to this section, make sure you know if it’s required or recommended for the schools you’re considering. Think carefully! If you later decide you need the writing section, you’ll have to take the whole ACT again. Is My ACT Score Good? The highest composite ACT score you can get is 36, but the average ACT score is 20.8. In order to get into the best colleges, you should aim for something above a 30.6 Once you hit the vaunted 30s, you’re in the top 10% of test takers and will be extremely attractive to both universities and scholarships.7 Below is a list of the top twenty colleges in the nation, according to U.S. News & World Report, along with average ACT scores provided by College Factual. If you composite score is greater than 31 you have a good score and you have strong changes of getting admission in top schools if you have a good class rank / other things. The original standardized test, the SAT, started off in the 1930s as a way for Ivy League schools to pick scholarship recipients. Astoundingly, the test was meant to be great equalizer-highlighting students from modest means to prestigious institutions. Of course, studies today show a clear link between high socioeconomic status and high scores on standardized tests like the ACT and SAT. Given that these tests can be studied for, it makes sense that students who have the means to buy test prep classes, books, and other resources will have the highest scores. 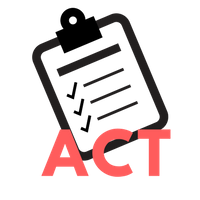 Tests like the ACT measure your ability to take the ACT, and not much else. If you didn’t have the resources to study, aren’t a good test taker, or were having a bad day you may end up with a bad score. Even if you don’t get the score you want on the test, take solace in the fact that these tests don’t mean much in the long run, and neither does the college you end up at. Just as studies show that test scores have little to do with academic or long-term success, they also show that your college ranking doesn’t mean much. What matters most to your success are your abilities, grit, and personality. So, if you end up with a bad score, don’t sweat it. Concentrate on the rest of your application package, and know that a bad score doesn’t mean anything.